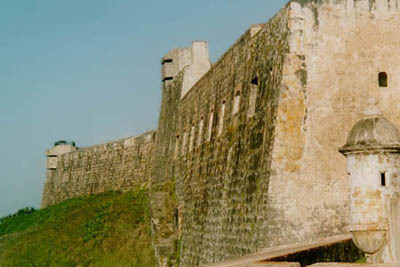 Puerto Rico is a modern progressive and civilized vacation spot that maintains the charm and hospitality of days gone by. You will find everything that the Caribbean has to offer in this all around family destination - and with it is a people whose warmth is equaled only by the sunshine that graces its shores. Puerto Rico enjoys year round summer temperatures, an average annual temperature of 80°F (26°C). The peak tourist season is between December and April, but this has more to do with the climate in U.S. mainland than anything else. July and August represents another peak tourist seasons. The best time to avoid the crowds is the low season between May and November, which, unfortunately, coincides with hurricane season (officially -- from June 1 to November 30). In recent years, Puerto Rico has also become popular Spring Break destination. It's easy to find your way to and around. 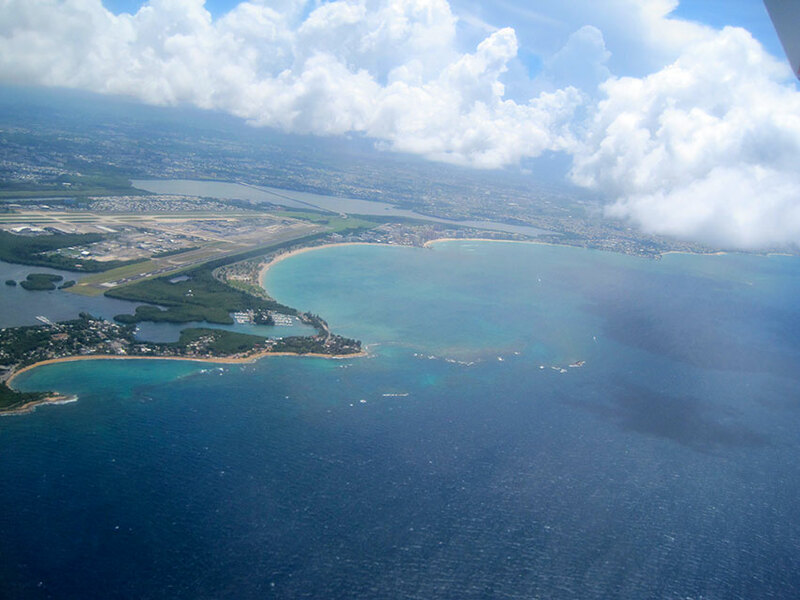 There is a wide selection of flights and cruises to Puerto Rico, and there are several ways of getting around when you arrive. Looking for the best of the best? Ask anyone individual and you will get as many different answers as people you ask. Each person sees a different picture of Puerto Rico. Sights, sounds and experiences will forever be embedded in the memories of those who come to visit. The Best of the Best by Frommers offers recommendations to visitors for a must see places, cities, or scenery. Atlantic Standard Time (AST) (EST +1; GMT -4) all year around, which means that the island does not observe Daylight Saving Time (one hour later than Eastern Standard Time (EST) from October to April, and the same as Eastern Daylight Saving Time from the first Sunday in April to the last Sunday in October). For the exact time of day call: 787-728-9595. Estimated travel time to arrive to major cities and other attractions from San Juan. The Puerto Rico Tourism Company, the island's official tourist center, produces and distributes several publications. The most popular is Qué Pasa! magazine, a bimonthly magazine that extols Puerto Rico's vast number of tourist attractions and natural wonders available throughout the island. Featuring outstanding photography and packed with information, every issue of Qué Pasa! includes useful and fully updated lodging and restaurant listings, detailed full-color maps for touring the Island, engrossing feature articles plus vital information on Puerto Rico's history, local cuisine and night life, arts and crafts, folklore, sports and much more. For a full information package, call the Puerto Rico Tourism Company at 1-800-866-7827. The official tourism guide is the Que Pasa! magazine, it includes information on accommodations, restaurants, shopping centers, casinos, transportation services, special events and fiestas. Some other magazines and guides to look for include: Tables Magazine, Places to Go, San Juan Guide, Bienvenidos and Go To Puerto Rico Travel Planner. You can also buy maps practically at any store or gas station. 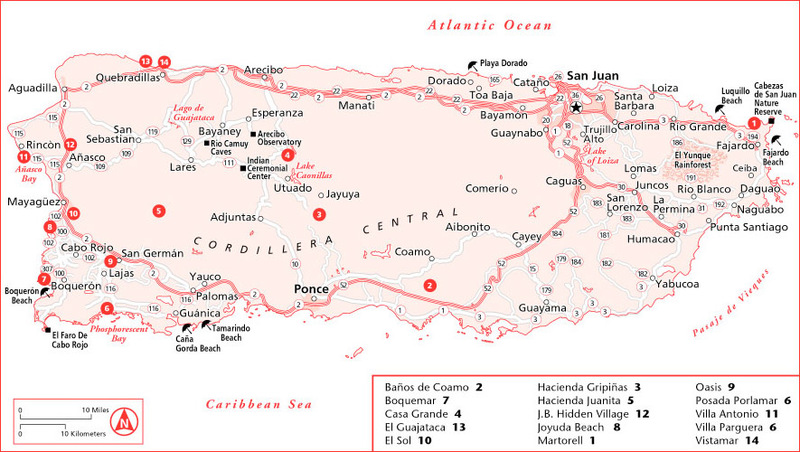 Many recommend the Puerto Rico Adventure Map, which contains the most current and accurate map information available. If you are renting a car, the car rental agency may also provide you with a map, usually by request. If you prefer to study your route before traveling you can purchase or download maps online. If you are planning on renting, buying or leasing property on the island, Real Estate Agencies offer a variety of services, whether it is a small quiet home or a vacation rental, real estate agents will provide you with the information you need. There is a wide selection of rental properties available in San Juan and throughout the island at beach and resort areas. Puerto Ricans are a gentle and friendly people. The island feels more like Latin America than the United States. Swim wear is fine for the beach and leisure wear for the resorts, but elsewhere a little dressing up is in order. Night time in San Juan is somewhat informal. Light and loose cotton clothing is the best bet year-round for Puerto Rico's warm tropical climate. Pack a sweater for cool season evenings or if you plan to visit the mountain regions. There are no nudist facilities (camps and/or beaches) in Puerto Rico. Nudism is illegal in Puerto Rico. Puerto Rico is the perfect destination for an unforgettable wedding. The island provides a wide range of location options that you can choose from, colornial forts, sandy beaches and tropical forests. Learn about how to apply for a marriage lincense in Puerto Rico. Health standards in Puerto Rico are generally comparable with those of the United States, its medical facilities are among the finest in the Caribbean. There are physicians and hospitals in all cities. For more information contact the "Departamento de Salud" (Department of Health), (787) 766-1616. Like all major destinations in the world, Puerto Rico provides comfortable conditions for travelers with disabilities. Since Puerto Rico is a territory of the United States business that provides goods or services to the public must comply with the Americans with Disabilities Act (ADA). All public buildings are wheelchair accessible and have accessible rest rooms. Most hotels and attractions provide wide doorways, wheelchair ramps and elevators. For information call: (787) 721-2800, Ex. 1549. Bring enough prescription medication for your stay. Unexpected delays and extended stays can upset your medication regimen. Similar to the United States, pharmacists cannot distribute prescription medications without authorization from a doctor. No vaccinations are required for visitors to Puerto Rico. However, those arriving from, or transiting through countries where a health epidemic has been formally declared, may need proof of vaccination before they can enter the island. Puerto Rico Department of Health issues certified copies of Puerto Rico birth certificates, death records, marriage licenses, and divorce decrees for events that occurred within Puerto Rico. For faster service, visit one of the many offices located throughout the island. Robbery and theft does happen occasionally as any place else, but you need not be concerned. Just don't be too careless. Women can wear as much jewelry as they want anywhere (as the locals do) with no fear. Always keep a copy of your documents with you. Take precaution and make copies of your important documents. Keep a copy at home. Take a copy with you and leave the originals in a safe place in your hotel room or wherever you are staying. It is a good idea to take out travel insurance covering cancellations, lost or stolen property, injury, and illness. You're likely to have partial or complete coverage. Some credit and charge cards provide health insurance for travelers. Puerto Rico is a commonwealth of the US and uses the dollar. The US dollar is often referred to as the "peso." Banco Popular. Foreign currency exchange: any branch. International division, second floor, 1500 Ponce de León, corner Europa, Santurce, (787) 723-0077. Caribbean Foreign Exchange. 201B Tetuan, Old San Juan. (787) 722-8222. Thomas Cook Foreign Exchange. International Airport, Isla Verde. (787) 791-1960, (787) 791-2233. Popular Center Building, Hato Rey (787) 754-2228. Scotia Bank of Puerto Rico. Canadian exchange only. Any branch. (787) 758-8989. Western Union. Cable money transfer. All Pueblo supermarkets (800) 325-4046. Banking hours are 9am to 3:30pm. All major credit cards are widely accepted: American Express, Visa, Diner's Club, Discovery, Master Card and other Bank credit cards. You can also access your money at thousands of ATMs throughout the island. Puerto Rico general sales and use rate increased from 7% to 10.5% with an effective total tax rate of 11.5 percent on many transactions when combined with the municipal sales and use tax of 1 percent (as of July 1, 2015). Puerto Rico now has the highest sales tax in America. Tipping is much the same as in the States. In hotels, major restaurants and nightclubs services charges are usually included. However, many inexpensive restaurants do not add service charge. If it isn't, tip between 15% and 20%. Read about other travel tips. Most commercial businesses operate from 8:30am or 9am to 5pm Monday through Friday. Government offices are open 8:30am to 4:30pm. Banking hours are 9:30am to 3:30pm. Department stores and malls are generally open Monday through Thursday and Saturday from 8am to 6pm On Friday, stores have a long day: 8am to 9pm. Many stores also open on Sunday from 11am to 5pm. They are located in many hotels around the Island. Proper dressing should be observed by men and women. People under 18 are not allowed. Puerto Ricans love sports. Any sport you can do in the Caribbean, you can do in Puerto Rico. You will find a full calendar of events to choose from throughout the year. Every year, each town celebrates a patron saint festival. The festivities include crafts, music, food, parades and religious processions. The activities usually take place at the town plaza. In addition, festivals featuring something special about each town is celebrated, like the San Sebastian Street Festival, the Ponce Carnival, and the Aibonito Flower Festival, among many others. Shoppers from the Caribbean and beyond are drawn to metropolitan San Juan, Plaza Las Americas in Hato Rey is the largest shopping mall in the Caribbean, containing 190 stores, including J.C. Penney's, Sears, Macy's, and dozens of smaller stores for clothing, gifts, electronics, cosmetics, etc. (787) 767-1525. Other commercial centers: Plaza Carolina in Carolina, Río Hondo in Levittown, Plaza del Carmen in Caguas and Mayagüez Mall in Mayagüez, Plaza de Aguadilla in Aguadilla, and Plaza del Caribe in Ponce. In almost all cities there are regional commercial centers. Retail stores like: Sears, Wal-Mart, Kmart and JCPenny anchor shopping centers and malls alongside locally owned shops and island chain stores. Do not forget that Puerto Rico is a large producer of rum, with many different types ranging from light rums for mixing with soft drinks to dark brandy-type rums. Hand made cigars can still be found in Old San Juan and Puerta de Tierra. A wide variety of imported goods from all over the world are available. Local artesanías include wooden carvings, musical instruments, lace, ceramics, hammocks, masks and basket-work. Fomento Crafts Program (787) 758-4747 Ext. 2291. Puerto Rico Tourism Company artisan office (787) 721-2400 Ext. 2201, 2080. Institute of Puerto Rican Culture Popular Arts Center (787) 722-0621. Puerto Rico Industrial Development Company, (888) 577-4326. Puerto Rico Chamber of Commerce/Camara de Comercio, (787) 721-6060. Puerto Rico Chamber of Commerce in the U.S., Box 899, Ansonia Sta., New York, NY 10016. There are no passports or visas necessary for United States citizens, which mean that US citizens can travel freely in and out of the island without going through immigration or customs. US citizens only need to have some form of official government issued picture identification to enter Puerto Rico such as a current driver's license or a photo-identification card issued to non-drivers by a state's motor vehicles department. For additional information, contact your local U.S. Embassy or call the Puerto Rico State Department at (787) 722-2121. Citizens of other countries have the same requirements as for entering the USA. Potential visitors must first obtain a visa, either a non-immigrant visa for temporary stay or an immigrant visa for permanent residence. The 90-day "visitor" visa is a non-immigrant visa to enter the United States temporarily. 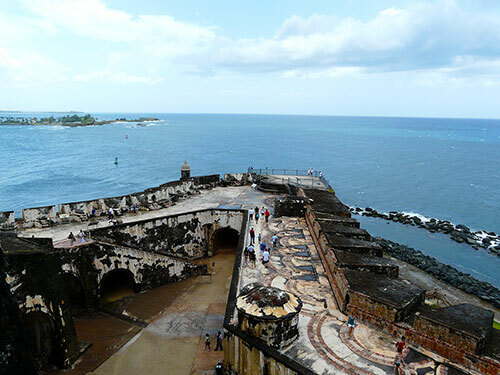 Those planning to travel to Puerto Rico for a different purpose, such as study or temporary work, must apply for specialized visas (either an M-1 or F-1 class). A visa is not a guarantee of entry into Puerto Rico. The bearer of a visa is subject to inspection at the port of entry by U.S. Department of Homeland Security officials who have authority to deny admission (Homeland Security Advisor, La Fortaleza, P.O. Box 9020082, San Juan, PR 00902-0082 - 787-977-7730 / 7731). If you want a copy of what is and is not permitted back on the mainland, write the U.S. Agriculture Department, Animal and Plant Health Inspection Service, 4700 River Road, Riverdale, MD 20737 or call (787) 796-1650. Because Puerto Rico is part of the United States, Puerto Rico is represented abroad by US Embassies and Consulates. Puerto Rico hosts Consulates from 42 countries from the Western Hemisphere and Europe. 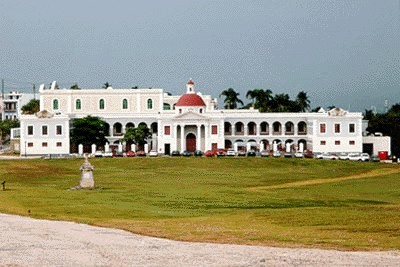 Most consulates are located in San Juan. Before taking a flight with your animal, have your veterinarian examine your pet to ensure that it is healthy enough to make the trip. Airlines and State health officials generally require health certificates for all animals transported by air. You will be required to: 1) Outfit your pet with a sturdy collar and two identification tags. The tags should have both your permanent address and telephone number and an address and telephone number where you can be reached while traveling. 2) Rabies quarantine certificate from veterinary doctor stating that pet has had a rabies shot. For more information contact the U.S. Department of Agriculture Puerto Rico office, Veterinary Division at (787) 766-6050. According to Federal Regulations, anyone carrying a firearm, must declare the firearm upon check-in, complete a Declaration of Armed Individual, and ask for further instructions. On July 22, 2004, President George W. Bush signed into effect the Law Enforcement Officers Safety Act of 2004 (LEOSA). This law creates a mechanism by which qualified active and retired sworn law enforcement officers are permitted to carry a concealed weapon anywhere within the jurisdiction of the United States, subject to certain limitations, provided that officers are carrying their official badges and photographic identification. The title defines the term "state" to include the District of Columbia, Puerto Rico, and all US possessions excluding the Panama Canal Zone. For rates and further information on automobile transportation contact Puerto Rico's main maritime shipping agency; Sea Star Line, (www.seastarline.com) (787) 721-2330 or toll-free at 1 (877) 775-7447. For information on estimated tax liability contact the Puerto Rico Treasury Department ("Departamento de Hacienda, Negociado de Arbitrios Generales"), at (787) 721-1257. You can also contact the Office of Excise Taxes at (787) 721-6237 or (787) 721-0338 for assistance. 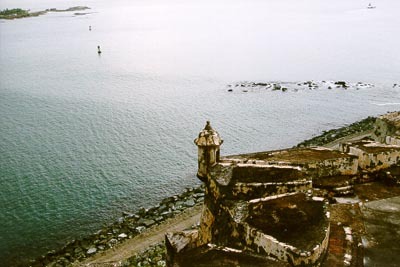 The Puerto Rican Tourism Company operates offices around the island and numerous regional offices in countries around the world. Some of them listed below. In Puerto Rico in the case of an emergency (police, ambulance or fire), call 911. If there is no 911 service or for non-life-threatening emergencies, such as a traffic accident without injuries, call the Puerto Rico police department phone number, which is generally the regional prefix plus 2020.